These are some of the homes near Los Reales and Craycroft roads the city plans to buy for expansion of the Los Reales Landfill. On any given day, approximately 500 trucks go into and out of the landfill. City officials say the upgrades to the site will extend its life by about 60 years. The city’s only remaining landfill is expanding, forcing out 14 households on properties adjacent to it. A planned project to relocate the current Swan Road entrance to Los Reales Landfill three-quarters of a mile east, to Craycroft Road, in addition to building new facilities, wil=l extend the life of the landfill by about 60 years, officials say. 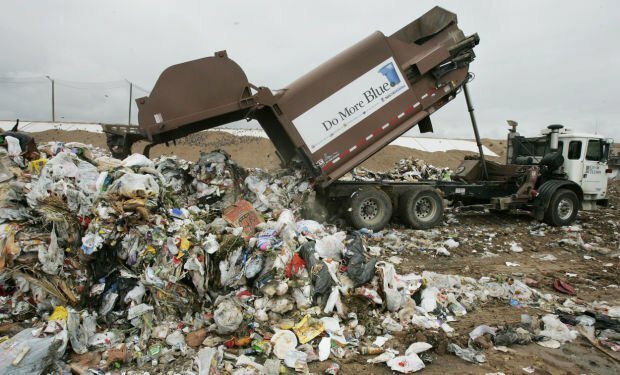 Rather than look for new locations for additional landfills, the city is looking to make Los Reales a long-term site, said Nancy Petersen, deputy director of the city’s Environmental Services. Officials say the city will try to minimize harm and seek ways to maximize payment to those who are pushed out, but residents say they are concerned about what is going to happen next. Currently, there is “no real buffer from the landfill to the residents,” Petersen said. On an average day, about 500 trucks go into and out of the landfill, she said. Creating the new Craycroft Road entrance will ease the traffic queue and keep cars off main roads. The upgrades would increase responsiveness to customers, safety for the public and financial efficiency for the city. The first phase, which will cost the city $7.5 million, will include a new entrance, access roads, administration and crew buildings, a scale-house pavilion, a household hazardous waste collection pavilion and a wheel-wash station. Some residents complain the city is keeping them in the dark. Wolff, who has lived in her mobile home near Los Reales since 1987, said she was startled to receive a letter from the city’s relocation contractor, Tierra Right of Way Services, Ltd., notifying her of relocation plans, since, she said, there had been no prior notices or neighborhood meetings. A neighborhood meeting on Feb. 19 was held after the notices had already been sent out. Carrie Martin experienced a similar shock. “The day that I got that [letter], it was a terrible surprise,” she said. Martin and her husband, Mike Hamlin, have been in the neighborhood since 1992. Their manufactured home has been upgraded multiple times to accommodate more storage and Hamlin’s disability after a motorcycle accident. “We don’t want to move,” Martin said. The notification letter should have been sent out before a meeting, instead of after, said Hector Martinez, director of the city’s real-estate program. At the meeting, Martinez apologized to the residents. Myrlene Francis, project manager at Tierra, said the notification was issued to inform residents of the plan and not that relocation would actually be happening. Wolff, Martin and Hamlin say all they want is to be treated fairly in the process and to have a home. Asked whether the properties’ proximity to the landfill would be used as a factor to determine market value, Martinez said that would be an appraiser’s decision. He added that the city is not involved in deciding property values. However, he said, the city will try to make the best possible offers. Residents will also be paid relocation benefits, which will be determined based on family size, age, special needs and economic situations. According to documents provided by Martinez, appraisals are scheduled to begin in April.